Taipei, Oct. 4 (CNA) The number of workers laid off in the third quarter in the Hsinchu Science Park reached 611, a seven-quarter high, the Hsinchu Science Park Administration said Tuesday. Meanwhile, the number of layoffs in the Tainan Science-based Industrial Park reached 310 in the third quarter, a new quarterly high for this year. The flat panel and optoelectronic sectors in the two industrial parks bore the brunt of the layoffs. Reports said that the optoelectronic sector at the Hsinchu Science Park laid off 412 people in the third quarter, accounting for 67.4 percent of the total layoffs. The layoffs can be attributed to Epistar's (晶電) merger with another LED chip company Formosa Epitaxy Inc.(燦圓), which led to a streamlining of manpower. The Tainan Science-based Industrial Park's optoelectronic sector also laid off 271 workers in the third quarter, accounting for 87.4 percent of the total layoffs. However, layoffs in the Central Taiwan Science Park were comparatively lower. 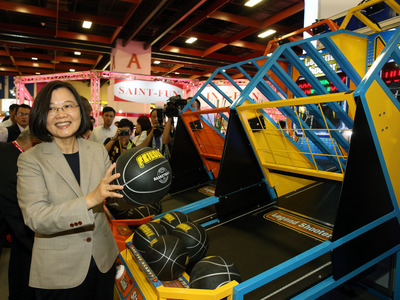 Due to the expansion of Taiwan Semiconductor Manufacturing Co. (台積電) and Siliconware Precision Industries Co. (矽品), the number of workers at the park had increased to 38,000 as of the end of September, up from 33,000 early this year.